The turn of the technological era has been a rapid and and uninhibited ascent. It’s rise has catapulted to the extent that little to few people in the Western world are without the all important smart phone device. But rather than fight the fact that a lot of us are glued to are screens more than ever before, why not embrace the advantages it can provide – specifically to both our health and waistlines. Here at JMT we have collated the top 5 of our favourite health and fitness apps to welcome us into 2015 just for you. 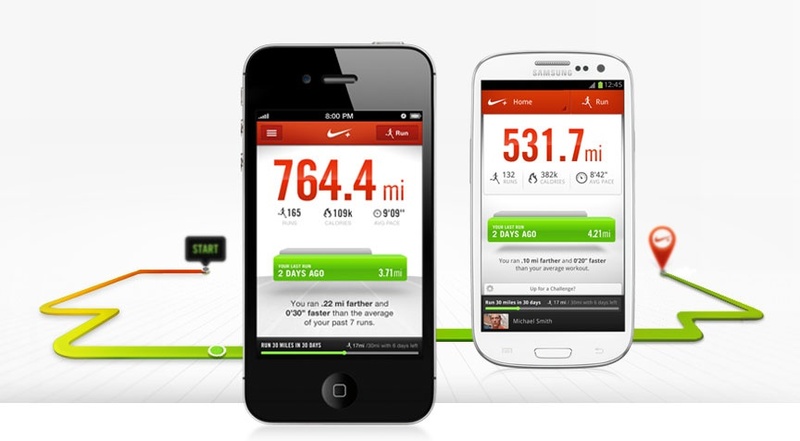 The Nike+ Running App provides the ability for the app user to track both distance, time, speed and frequency of runs. It allows you to track your progress whether outside or inside with the use of the mobile device’s inbuilt GPS and accelerometer. There is also the option for a Nike+ Coach for training programmes, expertise and daily workouts for those that require more guidance. Described as: “The Nike+ Running App tracks your runs and helps you reach your goals. From first time runners to marathon veterans, you’ll get the measurement and motivation you need to run farther and faster than every before”. 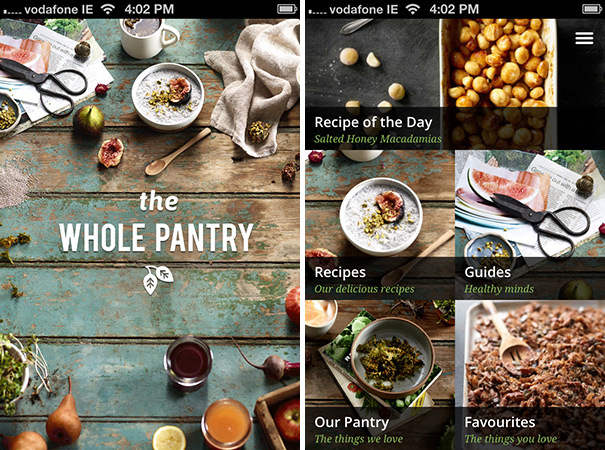 The Whole Pantry claims to be vegetarian, vegan, paleo and clean eating friendly and provides over 74 premium recipes. In addition, the app provide high quality photographs, a extensive reading list for those that wish to research, a shopping list, and the ability to save and share your favourite recipes. Described as: “The Whole Pantry is the first of it’s kind, combining inspiring wholefood recipes with Lifestyle and Wellness Guides. We don’t want to convert anyone from one diet or lifestyle to another, but rather encourage more of the basic foods (fruits and veggies) back into your diets where possible”. 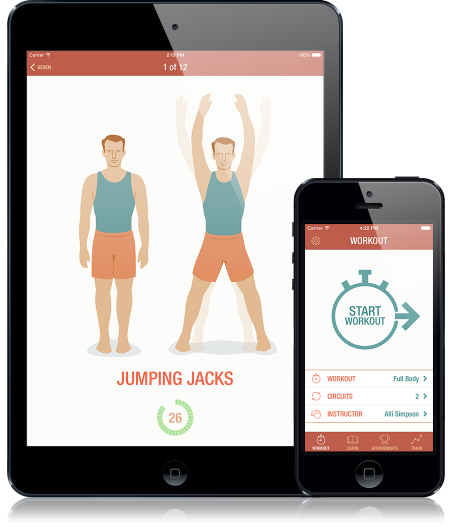 The 7-Minute Workout app is, as it’s name suggests, an app that utilises 7 basic exercises for 7 minutes for those with a busy lifestyle or looking to exercise effectively in a short amount of time. It allows off-line access and use, the ability to play songs synced onto your mobile device, and provides tips on how to effectively and correctly perform each exercise. It also allows to track your progress and earn reward points and progress in difficulty with regular use. Described as: “7 minutes for 7 months, using nothing more than a chair, a wall, and your own body weight, the 7-minute workout is based on scientific studies to provide the maximum benefit of working out regularly in the shortest time possible”. 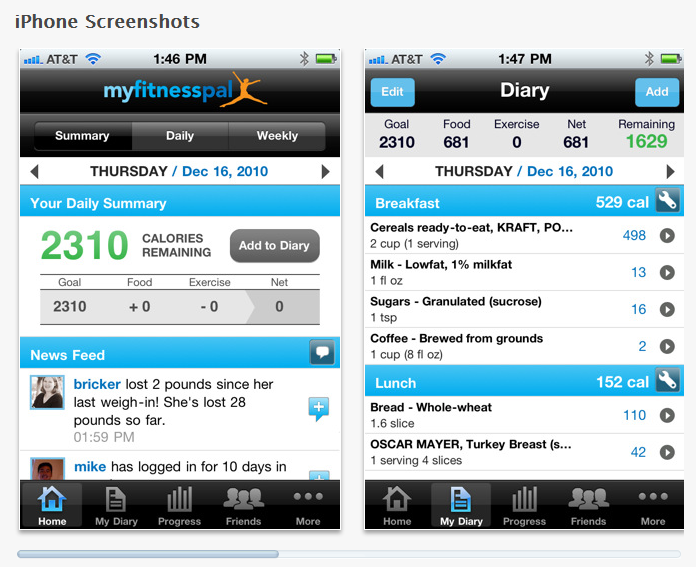 The Calorie Counter and Diet Tracker by MyFitnessPal allows the user to track their diet daily with the ability to remember previous searches, favourite particular foods and recipes, and save and add entire meals at the click of a button. Having been voted as the #1 Health App in 10 countries across the globe, the Mindfulness App provides a guided session through mediation. Suitable for all ages and level of experience, the Mindfulness App can be used for a few minutes everyday to provide a moment of relaxation and reflection for even the busiest of people. Described as: “The Mindfulness App helps you to reduce stress and increase well-being. Scientific research proves that regular practice for 20 minutes a day brings desired effects. 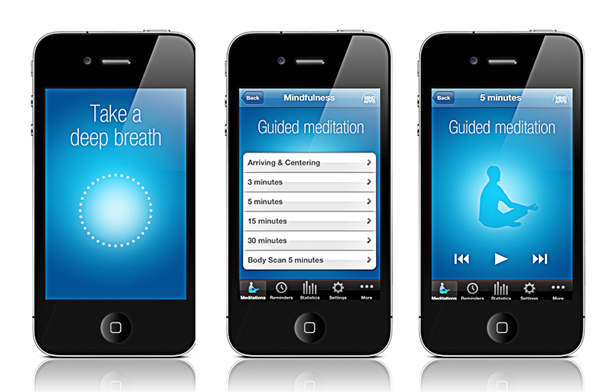 With the Mindfulness App you are always close to inner peace and stress relief”. So tell us, what’s your favourite health and fitness app? Let us know in the comments below!